Hard work and determination are the two keys for success in any facet of life. For dynamic rock singer/guitarist Michael Sweet, the road has been paved with gold starting with the success of Stryper some three decades ago– leading into a lengthy solo career, and even a stint in legendary rock band Boston. In more recent years, Sweet teamed up with guitar heavyweight George Lynch for a project simply known as “Sweet & Lynch” to produce the album Only to Rise in 2015. On August 26, Sweet will release his 7th solo album, One Sided War, via Rat Pak Records. Sweet recently sat down with us and shared the past, present, and future workings of the accomplished singer, guitarist, songwriter and producer. For Sweet, his involvement in creating music started early-on, and it’s something that he has no intention of slowing down on, either. “I got my first guitar when I was five and I just loved it and played it and had nothing but just a drive for music from that day forward. My dad started teaching me chords and as I got a little older, my brother and I won first place in a talent show and then once we did that, that was the first time that the ‘wow’ factor really hit home. The applause and the people and just being on stage with that feeling… the rest is history. I’ve been involved with music my entire life,” said Sweet. While fans have typically come to know Sweet’s solo projects as a means to learn about the softer side of Michael Sweet and break from Stryper’s iconic heavy sound, Sweet says One Sided War may surprise them. On his upcoming solo album, Sweet said he’s excited to have been joined by a number of some of rock and roll’s most talented. Backing him on the record are Whitesnake guitarist Joel Hoekstra, Evanescence drummer Will Hunt, bassist John O’Boyle and East Coast shred-master Ethan Brosh. “I’m really, really pumped about the level of musicianship on this album. It’s literally at level ten, ten being the highest number. I couldn’t be more excited,” Sweet exclaimed. When asked which tracks fans should check out first on One Sided War, Sweet had a few in mind. Sweet said the title-track, One Sided War, is also on that list of tracks to check out. “One Sided War is really about people that fight one-sided wars. Whether it’s someone in your family or a neighbor or someone online for that matter, that just wants to keep the war going and you’re just basically saying ‘Enough already, I’m done with this. Let’s move on,’ and they just want to keep it going. It becomes a one-sided war and it’s sad because we see that on a daily basis in the world that we live in,” Sweet explained. 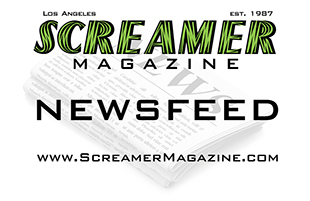 As Sweet is getting ready to unleash his new solo album, One Sided War, he also recently premiered the music video for his new single Bizarre on Loudwire. Stryper, formed in 1983, has long been labeled a “Christian metal” band, following the success of To Hell with the Devil. The album was nominated for a Grammy award and was the first “Christian metal” album to achieve platinum status ever. Despite its success under this label, Sweet admitted he has never been a fan on the band’s assigned genre. According to Sweet, Stryper plans to start working on a new album in early 2017. The band released their most recent album, Fallen, back in 2015. “This year’s all about Stryper. I’ve got an album coming out August 26, but I’m not gonna do any touring this year solo. It’s gonna be all Stryper this year, but next year I’m definitely going to tour solo and I want to do some Sweet and Lynch touring, as well. There will be a few select Stryper shows here and there, but not a whole lot of extensive Stryper touring next year. I would say that that will happen in 2018. We like to take a little time off and not over-saturate the marketplace and go to one particular city five times every year, like a number of bands do. It just doesn’t help matters, I don’t think,” Sweet said. Though many of the tour dates have not been posted yet, fans can check out the list of current dates on Stryper’s website. Despite his busy schedule, Sweet says he is already well into the process of planning his projects for next year. “We’re definitely gonna do another album and George and I are planning on starting that January or February of next year. There’s gonna be a Sweet & Lynch and a Stryper album kind of taking shape at the same time,” said Sweet. All in all, Sweet sounded to be in a pretty good place. He took a moment at the end of the interview to thank the fans that have followed him throughout his three-decade-long career. 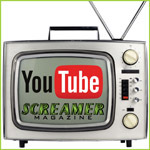 @ScreamerMags @michaelhsweet @Stryper Great article! This new solo album is excellent, just like Fallen! Kudos to you Michael!